It is “Bombay” to artists from as far removed as London is from New York unabashedly referred to as such by an artist in the work of art, and not “Mumbai” as Indians have now been forced to call it. Perhaps it rings truer or perhaps it just rolls off the tongue more easily. And it would have been so utterly colonial, were it not for the ingenuousness of the artists colliding with a culture that is so eternally giving of itself. The Portuguese got there first—when in 1488, Bartolomeo Dias sailed round the Cape to find the first navigable route to India, but it was Vasco da Gama who arrived in 1497 thereby predating the Brits—who began to have relations with India through the East India Company from 1601—by almost two hundred years. However the Brits under Queen Elizabeth I were the strongest colonial power by the time the 17th Century rolled around and through royal decree for trade, political statecraft and by being just plain insidious, got the better of everyone, ultimately driving out the Dutch and the French and marginalising the Portuguese for good. Shifting Job Charnock’s capital of the East India Company from Calcutta to Bombay was a no-brainer. And while Goa became the Rome of the Orient once the Portuguese laid their hands on it, Bombay, sitting in a natural harbour smack dab in the heart of the Arabian Sea became India’s New Orleans. This despite the fact that the Emperor Jalal-ud-din Akbar and his court musician Mian Tansen had long set up shop considerably further north during the golden age of Indian music. While this album does not directly anchor itself in Bombay, and while the name of the ensemble suggests that is from Bombay, it is more likely a romantic association with the heat and dust of Bombay that gives it its expansive title. The music is hypnotic and extremely suggestive of the dusty mesmerism that the city has on its visitors. But the fact is the musicians travelled to Turkey as well and as inspired as they were to write “Blue Mosaic” because of their love for the city of Bombay, they also pay homage to Jaipur in their “City of Amber” and to Turkey in “Sea of Marmara” a dense waterway that separates Turkey’s East from its West. And while the music may have been made in several cities including New York, London and Jamaica, it is the microcosm of India that is Bombay that appears to inspire the ensemble as well as the music of the record. 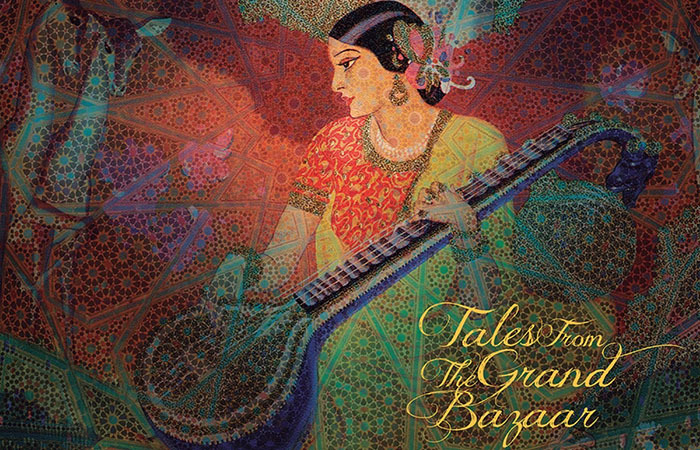 Even “Sea of Marmara” features an exquisite vocal sung in Indian modes and seems to suggest an almost endless connection with a collision of East and West as it does in Turkey naturally as it does in Bombay, almost hypnotically and in all its spellbinding aspects. The music on which drummer Sly Dunbar and bassist Robbie Shakespeare play is inspired and might have been the high point of the recording, its rhythm mimicking a camel of Rajasthan rather than cow off the streets of Bombay, but the violin and the wailing yowl of the vocalist more than compensates. Also, there is a subtle reference to Bollywood in the melody and the rhythm—and any homage to that cultural aspect of India must be a proverbial doffing of the hat to Bombay where East and West appears to collide as much as it is that microcosm of the great sub-continent. Track List: The Orange Terrace; Blue Mosaic; City of Amber; Sea of Marmara; Songs From the Seven Towers; A Time of Beauty; Bohemia Junction; Four Thousand New Colours; Air Like Velvet. Personnel: Asad Khan: sitar; Ujwal Nagar: vocals; Suhail Yusuf Khan: sarangi; Ritesh Prasanna: bansuri; Mehmet Akatay: percussion; Aytek Dogan: quanoun; Cem Yildiz: baglama, oud; Tony Grund: programming and additional keyboards, French horn; Harvey Jones: synthesizer and treatments; Jas Ahluwalia: tabla; Kamaljeet Ahluwalia: santoor; Kartik Ragunathan: vocals, Indian violin; Hamsika Iyer: vocals; Soumik Datta: sarod; Tanja Tzar: vocals; David Ranger: guitars; Francesca Ter-Berg: cello; Adam Lamprell: guitars, thumb piano, kalimba; cymbalim and electric harpsichord; Shirishkumar: tabla, dholak, duff; Kristy Holford: handclaps; Anita Holford: handclaps; Dylan Owen: hand claps; Sly Dunbar: drums; Robbie Shakespeare: bass; Gary Hughes: composition, arrangements; Andrew T. McKay: Bosendorfer grand piano, composition, arrangements. 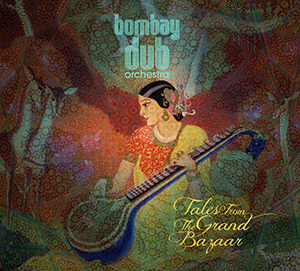 About BDO: The Bombay Dub Orchestra (BDO) is an electronica/orchestral project of composers Garry Hughes and Andrew T. Mackay. From main-stage performances at the UK’s Big Chill Festival and Djing across the globe, the BDO has thrilled audiences with their music. They have also scored feature films and remixed world-renowned artists including Bob Marley for the Roots, Rock, Remixed Album, Nusrat Fateh Ali Khan, Azam Ali, Bebel Gilberto, Ceu, Dizzy Gillespie, Natasha Atlas, Juno Reactor. Their albums have reached the #1 spot on iTunes World Music charts around the globe as well as on leading US radio station KCRW. It is clear that pianist Richard Bennett fell into a time warp when he and his wife arrived in Bombay to study Indian music. Almost magically, however, the pianist discovered that he could recreate the magical melodic invention of the sitar by advancing every aspect of his right hand on the piano, while his left hand re-created the drone of the Indian veena which accompanies the sitar while playing an Indian raga. More magically he creates the sound of swans in one of the beautiful ragas in Hindustani music: “Hamsadwani”. The raga was actually borrowed or reinterpreted from the Carnatic (South Indian) raga and is unique in that it does not contain all the swaras or seven notes in the Indian scale, but rather has only five and is based, instead on the pentatonic scale. This lends itself more easily to the western instrument on which it is played and is as exquisite as it is unusual to hear, say the flute of the Indian flute maestro, Hariprasad Chaurasia, whose version is best known throughout the world. Mr. Bennett’s enthralling sojourn continues and with it he discovered that each raga is a world unto itself. So also with “Raga Gunkali,” which is allied to the bucolic morning raga “Bhairavi,” unfolds with mystical purity through the notes of Mr. Bennett’s piano and through “Raga Miyan ki Malhar” which is over 400 years old in its contemporary form. It was composed by Raja Miyan, a 14th Century vocalist who the New York cognoscenti consider to be the “John Coltrane” of Indian classical singers. Richard Bennett’s fascination with India brought him to Bombay, and here he discovered the great Indian tradition which unfolds as if it were the skin of an onion and as if it were myriad worlds that invariably inhabit the heart of Bombay. Track List: The Swan Swoons -Raga Hamsadwani—part 1; The Swan Soars-Raga Hamsadwani—part 2; The Swan Surges –Raga Hamsadwani—part 3; The Book of Five Rings-Raga Gunkali—part 1; Samurai –Raga Gunkali—part 2; Here I Am-Main Yahaa Hoon; The Savage Garden -Raga Miyan ki Malhar—part 1; That’s How Brooklyn Sounds- Raga Miyan ki Malhar—part 2; Tone B; Nightfall –Raga Puriya—part 1; Nightfall – Raga Puriya—part 2; The Swan Reprise. About Richard Bennett: Whether exuberant and percussive or lyrical and transcendent, Richard Bennett is a virtuoso at the piano. Bringing an array of world music and jazz influences to his music, he blends together a sound that is all his own. In New York his bands have performed at Lincoln Center Out of Doors, The Guggenheim Museum, The Rubin Museum, Brooklyn Museum of Art, and Central Park Summerstage. 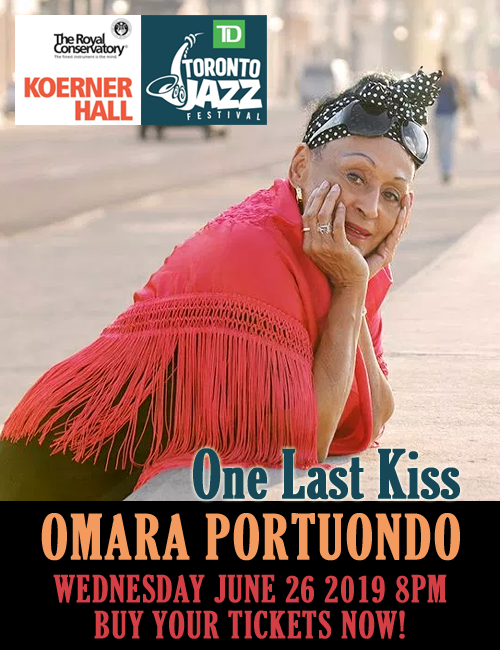 Internationally, he has toured over twenty countries as member of various jazz and blues ensembles. His compositions have been used forcefully for movies and dance, most notably “Fragments” for the Ailey II Dance Company and “Slope of Enlightenment” for Elisa Monte. In India he has headlined the Mumbai and Kalaghoda Festivals. His album “Raga and Blues” was released by “Mystica Music” in 2011. The follow-up CD “Rhapsody in Yaman” was released in 2012. 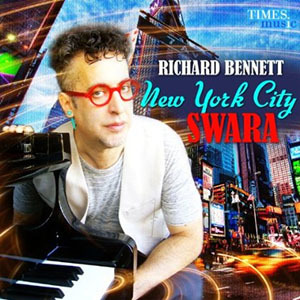 His newest music “New York City Swara” was released by “Times Music” in October 2013.